Ian joined Watsi on July 13th, 2016. Three years ago, Ian became the 1999th member to automatically support a new Watsi patient every month. Since then, 3,098 more people have become monthly donors! 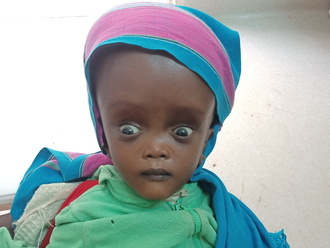 Ian's most recent donation supported Lekishon, a baby from Kenya, to fund brain surgery. Ian has funded healthcare for 34 patients in 9 countries. 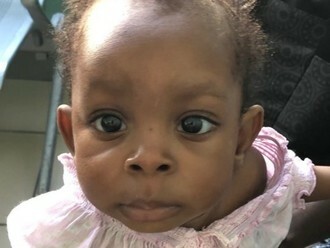 Flora is a baby from Haiti. She lives with her parents and older sister in a neighborhood of Port-au-Prince. She is a very curious and active child. Flora has a cardiac condition called ventricular septal defect. Several holes exist between the two lower chambers of her heart. Blood leaks between the chambers without passing through the lungs to obtain oxygen, leaving her sick and short of breath. On February 11, she will undergo cardiac surgery at St. Damien Hospital, our medical partner's care center. While she is too small to repair all of the holes in her heart, surgeons will place a band around her pulmonary artery that will allow her to grow without immediate danger from this heart condition, so that in one or two years she can safely have the rest of the holes closed. Another organization, Gift of Life International, is contributing $5,000 to pay for surgery. 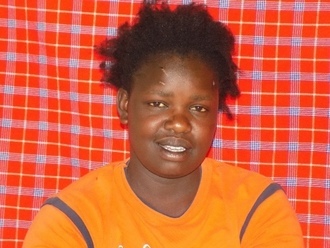 Flora's family also needs help to fund the costs of surgery prep. The $1,500 requested by our medical partner, Haiti Cardiac Alliance, covers cardiac exams and medications. Her mother says, "Our family is all praying that everything will go well with our daughter's surgery!" 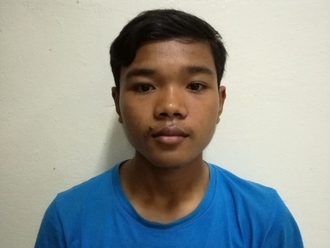 Nak is a rice farmer from Cambodia. She has two sons, three daughters, and seven grandchildren. She likes to watch TV in her free time. Three years ago, Nak developed a cataract in each eye, causing her blurry vision, irritation, burning, photophobia, and clouded lenses. She has difficulty seeing things clearly, recognizing faces, and going anywhere outside. When Nak learned about our medical partner, Children's Surgical Centre, she traveled for three hours seeking treatment. On December 11, doctors will perform a small incision cataract surgery and an intraocular lens implant in each eye. After recovery, she will be able to see clearly. Now, she needs help to fund this $398 procedure. He says, "I hope my eye surgery is successful so I can continue my work at the farm, feed the cows and chickens, and I can go outside by myself easily." Irine is a young mother from Kenya. She is a green grocer at a local market. She sells vegetables and fruits. Recently, Irine was injured and visited our medical partner's care center. Upon arrival, she underwent an x-ray and was diagnosed with a tibia fibula fracture. It is difficult for Irene to walk and take care of her children. Fortunately, surgeons at our medical partner can help. On May 4, Irine will undergo a fracture repair procedure, called an open reduction and internal fixation. This procedure will help Irine walk comfortably again. Now, our medical partner, African Mission Healthcare Foundation, is requesting $771 to fund this procedure. 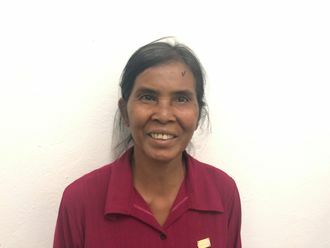 Irine says, “I am worried about my health, I want to receive treatment."